Step 1: Log into the DNS-323/321 Series ShareCenter. The default username is admin (all lower case) and the default password is blank (nothing). Click on Config. 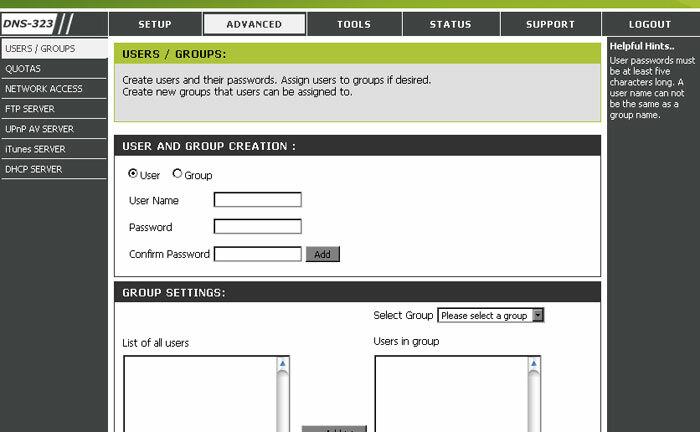 Step 2: Click on the Advanced tab at the top and then click on Users/Groups on the lefthand side. 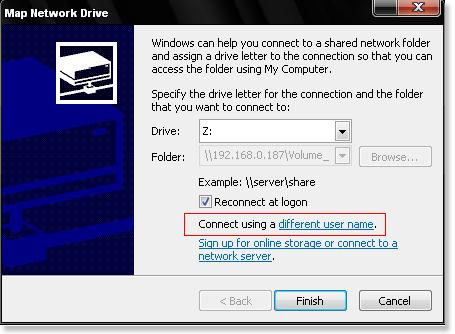 User Name – Set a unique name for the user. Password – Set a unique password for the user. Confirm Password – Confirm the assigned password for the user.Step 4: Click on the Add button to save your settings. Note: Users must first be created to add to a group. 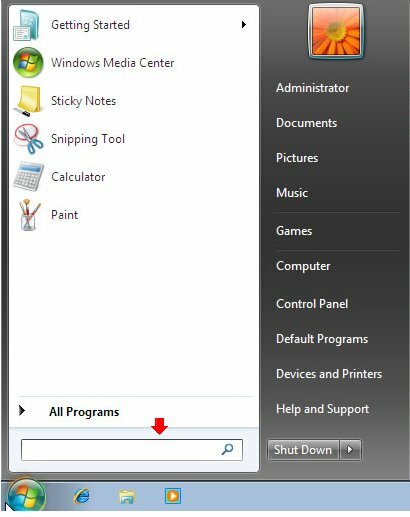 Step 1: For Vista or Win7 this command line is located right above the Windows Button., Click Start and Click Run ,and type \\IP of D-Link DNS-323 (eg. \\192.168.0.132) and press OK. The original design of the Domain Name System (DNS) did not include security; instead it was designed to be a scalable distributed system. The Domain Name System Security Extensions (DNSSEC) attempts to add security, while maintaining backwards compatibility. RFC 3833 attempts to document some of the known threats to the DNS and how DNSSEC responds to those threats. DNSSEC was designed to protect Internet resolvers (clients) from forged DNS data, such as that created by DNS cache poisoning. All answers in DNSSEC are digitally signed. By checking the digital signature, a DNS resolver is able to check if the information is identical (correct and complete) to the information on the authoritative DNS server. While protecting IP addresses is the immediate concern for many users, DNSSEC can protect other information such as general-purpose cryptographic certificates stored in CERT records in the DNS. RFC 4398 describes how to distribute these certificates, including those for email, making it possible to use DNSSEC as a worldwide public key infrastructure for email. What is the vulnerability in the DNS? 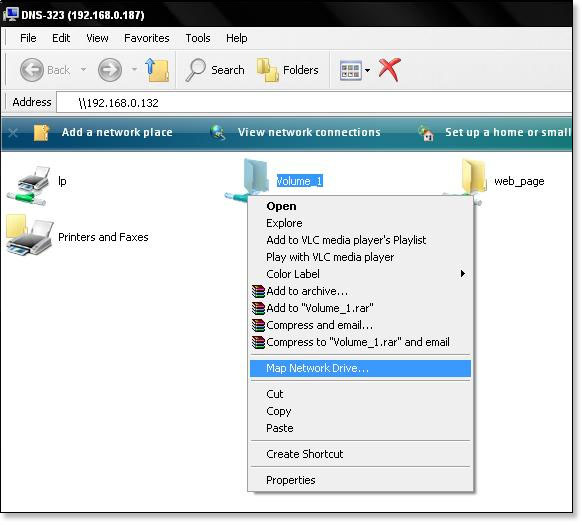 The efficient work of storing a response that functions as a mid-way point between an end user’s computer and an authoritative server is performed by a caching name server, usually operated by an ISP (Internet Service Provider). The DNS was designed to allow this caching server to accept the first response it receives. 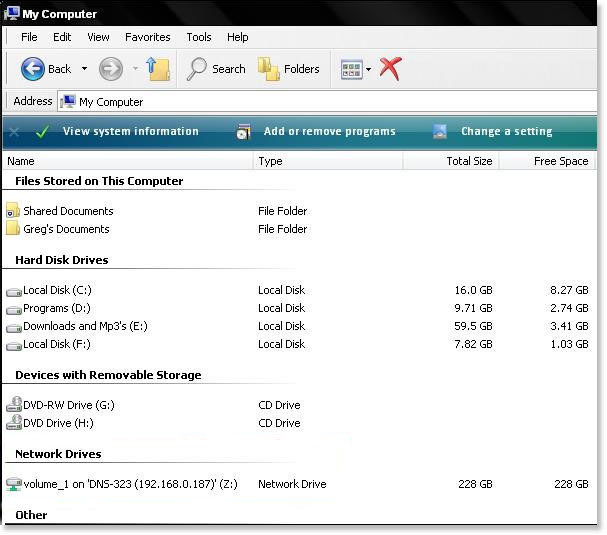 It is possible, without the verification provided by DNSSEC authentication, for a malicious user to flood this caching name server with a spoofed response that is, most often, intended to dupe the end user into providing personal and or financial information to what appears to be his or her intended destination. DNSSEC works through a system of keys. At each stage in supplying a DNS query response through the chain that takes it back to the initiator’s machine, a known key and a private key must be matched. In this way, the response to the query is authenticated and the response validated.